When the innovative 3D mapping company C3 Technologies was discovered to have been acquired and shut down by its buyer, amongst the speculation was that Apple had been the buyer after its previous purchase of Placebase and Poly9 (both software mapping firms). Today, 9to5 Mac is claiming to have a source that confirms Apple was behind the purchase of C3 Technologies and has now got the team (who are still located in Sweden) to work as a division of the iOS team. Sources say that C3 Technologies CEO Mattias Astrom, C3 Technologies CFO Kjell Cederstrand, and lead C3 Technologies Product Manager Ludvig Emgard are now working within Apple’s iOS division. The leading trio, along with most of the former C3 Technologies team, is still working as a team in Sweden (interestingly, the division is now called “Sputnik”), where the C3 Technologies company was located prior to the Apple acquisition. 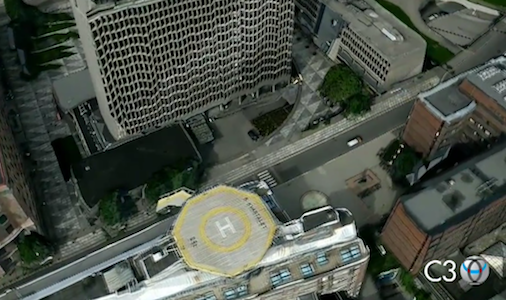 What C3 Technologies did was develop software that could create detailed 3D 'maps' through from aerial photography with very little human input or moderation. The two videos after the break give an explanation of how it works and a real demonstration of what C3 Technologies could produce through its software. Speculation is now turning to what Apple has in store after purchasing these three mapping companies (Poly9 and C3 are specifically focused on 3D mapping) as well as making the remark earlier this year (in response to the location data debacle) that: "Apple is now collecting anonymous traffic data to build a crowd-sourced traffic database with the goal of providing iPhone users an improved traffic service in the next couple of years". It was a curious admission by Apple and despite re-signing with Google to provide iOS with its mapping service, the question is now whether Apple may be trying to replace Google's offering with its own - or perhaps to merely complement it with new offerings.